Category 0, I or II A-Frame for square toolbars mounted on the diamond. Available in light, medium, heavy and extra heavy duty models. 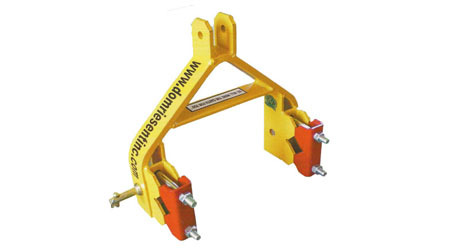 Each model includes replaceable hitch pins and toolbar attaching clamps and hardware. Tool bar stock, 2 1/4" x 2 1/4" square solid steel plow steel, also available in any required lengths.